Qorpak metal caps and lids are manufactured from either aluminum or steel (with either chromeplate or tinplate anti-corrosive coating). Metal caps and lids are very resistant to fracture from impact and exhibit tolerance to the widest range of temperatures. White Pulp/Polyethylene Lined Metal Caps are a great general purpose closure. 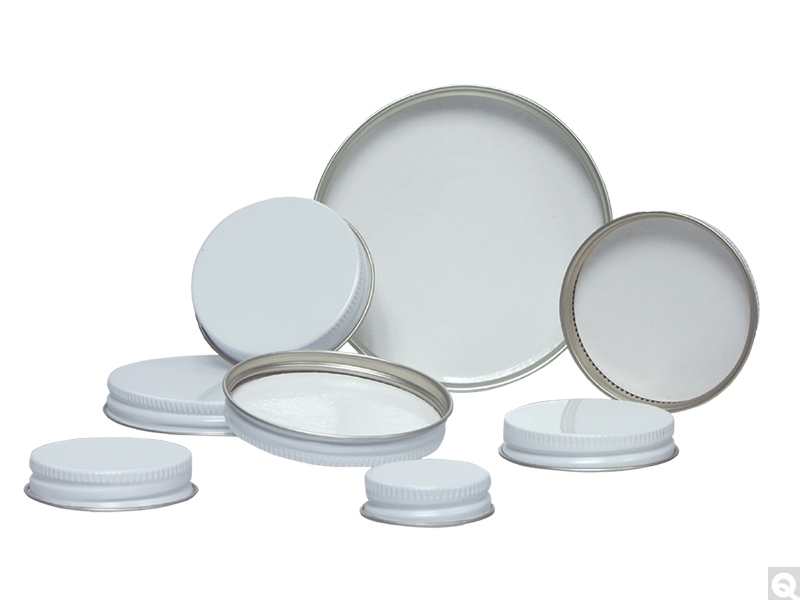 These plastic-lined metal caps are ideal for powders and non-acidic food products and consumer products such as candle jars, honey bottles, and more. These caps are offered in a 400 GPI thread finish, and are available in a wide variety of diameters to fit a variety of containers from narrow neck bottles to wide jars.